Iranian Archaeologists have begun work on unearthing the Persepolis swage system, which in ancient times diverted rainwater from the platform to prevent flooding, reported the Persian service of ISNA on Tuesday. 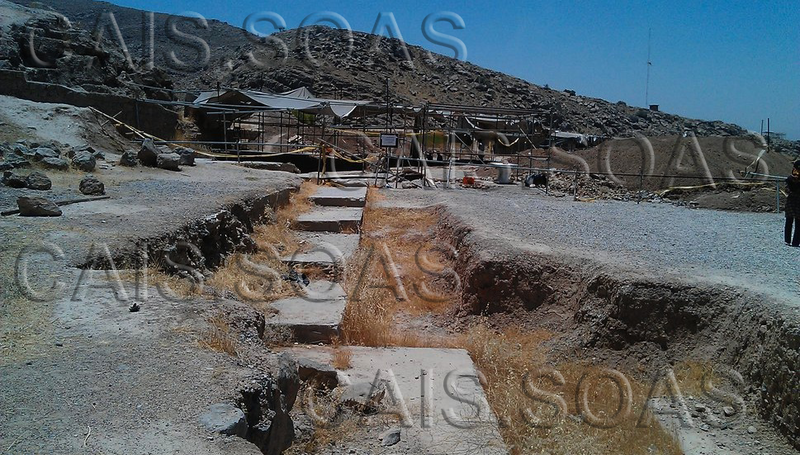 According to the news, apart from the sewage system, archaeologists have identified three water and irrigation systems at Persepolis, which circulated water over the platform. The sewage system, which is one of the most complex systems in the ancient world, diverted excess water flowing down from Mount Rahamt, away from the platform. The Achaemenid engineers constructed and implemented the sewage system inside the platform before construction of the citadel. The oldest sewage system at Persepolis is dated to the reign of Darius the Great (r. 550-486 BCE). Archaeologists believe that by unearthing and re-opening the ancient waterways and the sewage systems, they will be able to resolve the flood issue that Persepolis has been suffering from, particularly in the past few years. Last year archaeologists warned the authorities that if no necessary measures were taken immediately to resolve the flood issue at Persepolis, the ancient edifice will cease to exit within 10 years.